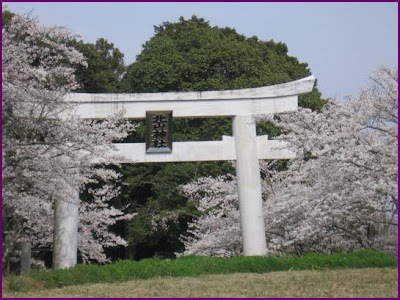 We visited this remote shrine in April 2007,just right for the cherry blossoms! 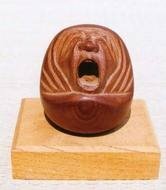 What is this? Special offering for the gods here. 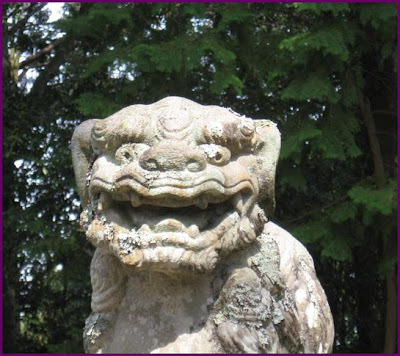 A smiling Koma-Inu, Lion-Dog at the entrance ! 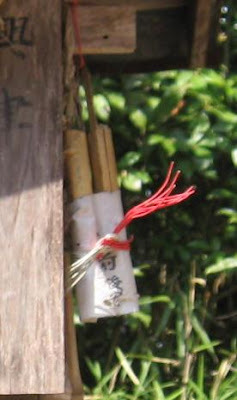 There was a signpost for "Mimasaka 112 Shrines" ! More of my PHOTOS from the shrine !